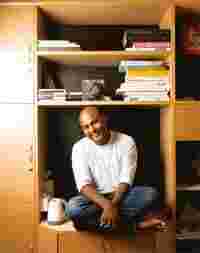 Emmanuel Upputuru, national creative director, Publicis India, has worked with brands such as Shell, Dabur, Nestle, Hewlett Packard, Kawasaki, Nokia, Mother Dairy, Gillette, Limca, Sprite, Motorola, Maruti, American Express Bank. Nice. I was wowed by Volkswagen’s print launch. So I was expecting something equally stunning in film. But: The plot is not very unusual. But: The road stands out. But: The characters are a bit cold. But: It happens. But: It is not bad. But: It does not make me jealous, if you know what I mean. What should one ensure while promoting an iconic brand? Beetle is like Apple. Its great heritage is something you can’t ignore. And I can understand it’s not easy to be in the shoes of anyone trying to promote a successful global iconic brand like Beetle. And probably one question you need to ask yourself, “Is the iconic brand image only in your mind, or do the consumers also feel it?" What’s your favourite car ad? Not remarkable: The ad lives up to the Beetle heritage, just about. The Mercedes spot is about extra-marital affairs that demonstrates how well the car can handle any weather. It shows a woman with a guy who asks, “Aren’t you expecting your husband?" The woman replies, “Not in this weather" and we cut to the husband driving, obviously a Mercedes-Benz, in very snowy weather. As the couple are in bed the husband gets out of the car and knocks on the door, a woman opens the door, but she is not the wife! This woman asks, “Isn’t your wife expecting you?" The guy replies, “Not in this weather." Beautiful storytelling which demonstrates the car’s function. Does a global brand’s strategy have to be local? I do believe that any global trying to step into the Indian market has to find its own voice and personality that will connect to the Indian audience. The strategy can be global but the execution can, and in most cases, has to be local.